Stockton firm Scott Bros has invested £600,000 in its recycling plant to increase the amount of waste it recycles by up to 40%. 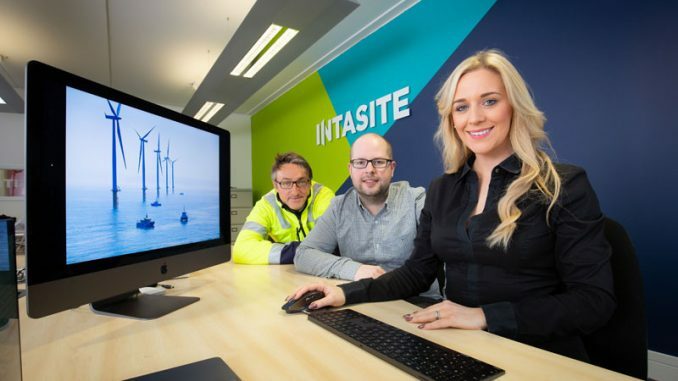 The newly-installed recycling line at its Teesside site – capable of processing 50 tonnes per hour – means a greater proportion of waste once destined for landfill can now be repurposed. Its introduction has streamlined the process by efficiently segregating larger items for recycling such as metals, cardboard, plastics and wood, which are then sent to a picking line. Another major advance at the Haverton Hill recycling plant, is the addition of magnet technology which can retrieve and sort smaller metal items, such as nails, screws and hinges. It is estimated this measure alone will prevent one tonne a day of metal, previously too difficult to segregate by hand, from ending up in landfill. The plant’s original and smaller recycling line is being retained and will be dedicated to processing smaller grade material. It, along with other machinery, is to be upgraded, bringing the company’s total investment in the plant to £1m. The new recycling line has increased the efficiency and safety of the process, meaning staff spend less time on the floor of the plant segregating waste by hand. It allows Scott Bros. to process more skips, containing commercial, construction and demolition waste from throughout the North East – making the waste and recycling specialist much more competitive. As business has grown in recent years, Scott Bros are increasingly using larger skips – ranging in capacity up to 40 cubic yards – to cope with demand. This meant staff often faced working longer hours to keep pace with the amount of waste material arriving at the site. 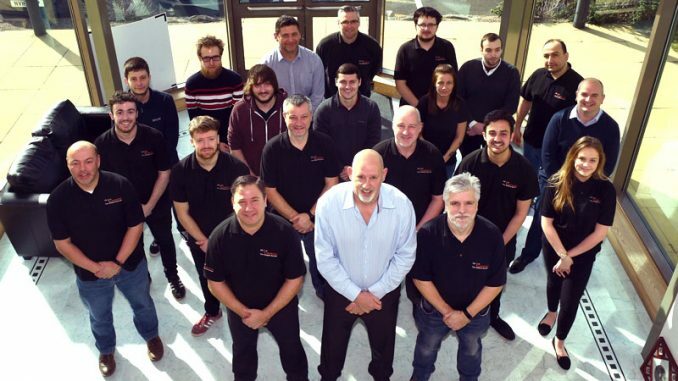 The new system strengthens the future of the company’s workforce of more than 100, ensuring their time can be used more efficiently and productively. 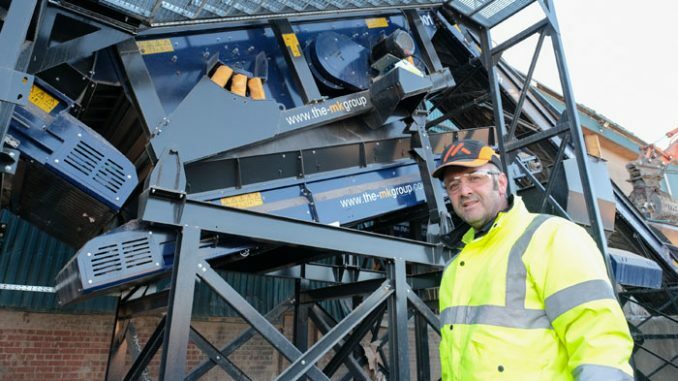 Peter Scott, of Scott Bros, said: “This new recycling line has not only transformed the volume we are able to process but allows us to recycle a higher percentage of waste that previously would have gone for disposal to landfill. “This significant investment is about reducing our carbon footprint and creating a greener future, as well as reinforcing the position of Scott Bros. as a regional leader in waste recycling. 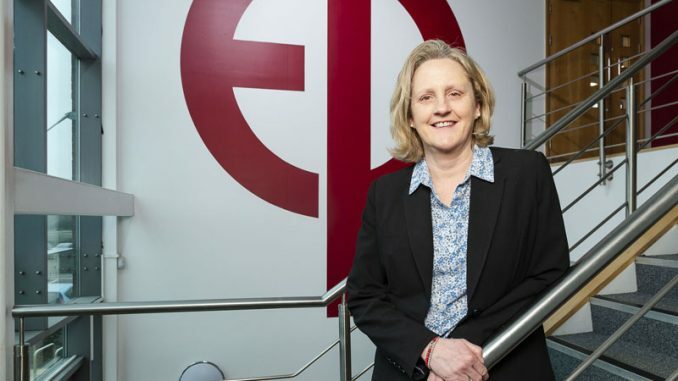 “The new processing line is an example of the company embedding the philosophy of the circular economy in our future plans – which are firmly focused on designing out waste and further increasing our ability to recycle and remanufacture materials. “It also enables Scott Bros to become more competitive and productive, by achieving a higher tonnage rate.